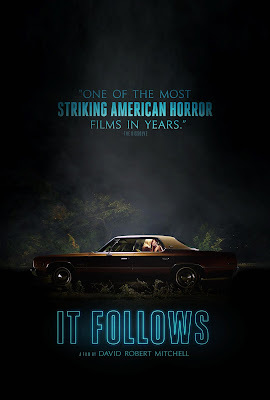 Going into It Follows, I knew virtually nothing about it other than the random articles I would come across on news sites and Facebook; all of them praising this as one of the best and scariest films of all time. Then I read how it performed so strongly in the small amount of theaters it premiered in that they decided to roll it out in a larger number of theaters. Of course, being in the small town that I am, we didn't get it. But imagine my surprise, or shock rather, when I noticed it was playing at my local discount theater a mere 2 weeks after it premiered. That night I gathered a group of friends, who knew nothing about it, and we checked it out. Once every few years a horror film comes out of nowhere and takes the masses by storm. Somehow, in some way, it's able to connect with people on just the right level, and because of that, they end up making an impression. It Follows is that film. While nothing spectacular in the "scares" or "gore" department, what writer/director David Robert Mitchell has done is given us a "subtle" horror film, filled with enough tension, uneasiness, atmosphere, and genuinely creepy moments that make this far more effective than any lame big budget cookie-cuter jump-scare horror film. You know, the kind that star actors that look like models. The kind that don't look like normal human beings. But I digress. I don't feel it's a good thing to give you a rundown of the story, as any bit of information could and will potentially spoil it for you. The less you know going in, the better. That method worked remarkably well for me, as it was basically a blank slate of wonder for me. I had not idea what type of horror film this was going to be, or what the story was even about. I think the trailers and articles I would happen across were good at not divulging too much of that and because of that, I had no idea what I was getting myself into. Boy am I glad. There is so much to like here, so much to admire on a technical level. Writer/director David Robert Mitchell doesn't waste any time getting things started. But you're not sure what you've seen. But you've seen something, and it will stay with you. And Mitchell plays on these fears throughout the film, teasing you a little at a time, because he knows you can't figure out what's going on. It's pretty brilliant if you ask me. His camerawork is stellar, only adding to the film's overall throwback vibe. 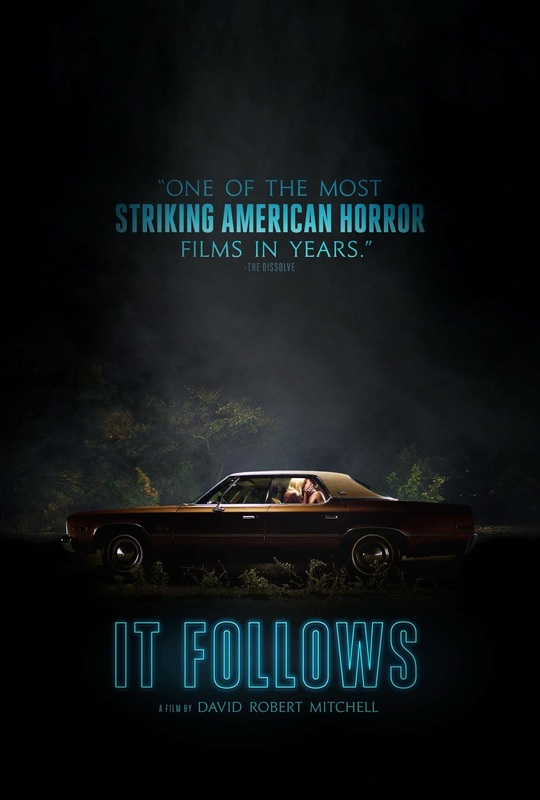 That's another thing It Follows has going for it. It looks and feels like a slow-burn 80's horror film, infused with style and plenty of substance. Yet I don't recall that it was ever mentioned what year things are supposed to take place. But it's made strikingly apparent that it's supposed to take place in the 80's just judging by the decor, surroundings and aesthetic. But then he throws something in there that throws that notion out the window, so I don't really know. But the amazing score by Disasterpeace doesn't help. It's about as retro synth as you could possibly get, reminiscent of some of John Carpenter's best work, and just by listening to it, you'd think you were watching a film made 30 years ago. All in all, a stunning piece of work in the horror genre. Totally original, and made with an exceptional hand that outshines most big budget studio horror films from the last 10 years.